High Cotton USA Inc. is a service bureau that specializes in the design and production of full color, highly regulated transactional documents for the Financial, Healthcare, and Utilities sector. In the South, the term ‘High Cotton’ is synonymous with well-being and prosperity. 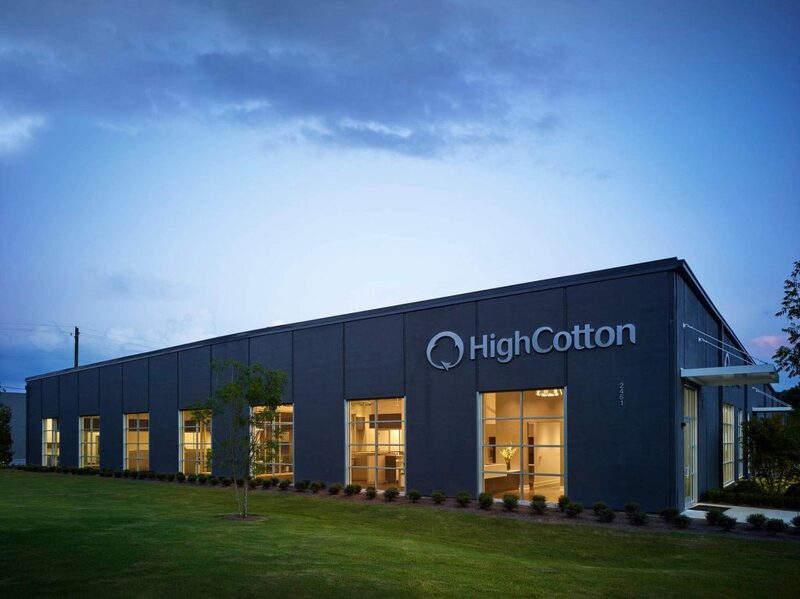 For more than 50 years, the success of High Cotton USA came from ensuring that its clients also flourish, primarily through delivering them a fast, accurate and secure outsourced print and mail service. Living by their tagline – ‘Get the Details Right’, High Cotton’s ethos is to always maintain the highest levels of document accuracy and integrity throughout their print and mail process. So when they took delivery of their two new SuperWeb WEBJet 200D color inkjet digital web presses, ensuring that every document produced was error free was of paramount importance. High Cotton’s clients were demanding that their transactional documents needed to work harder and to go beyond just being informative. They wanted them to be more engaging, able to up-sell products and services (Transpromo), reinforce the brand and build loyalty. In 2014, the purchase of the WEBJet 200D color inkjet presses enabled High Cotton to provide an end-to-end, full-color statement printing service, with the capability, flexibility, and speed required to meet this growing demand from their customers. 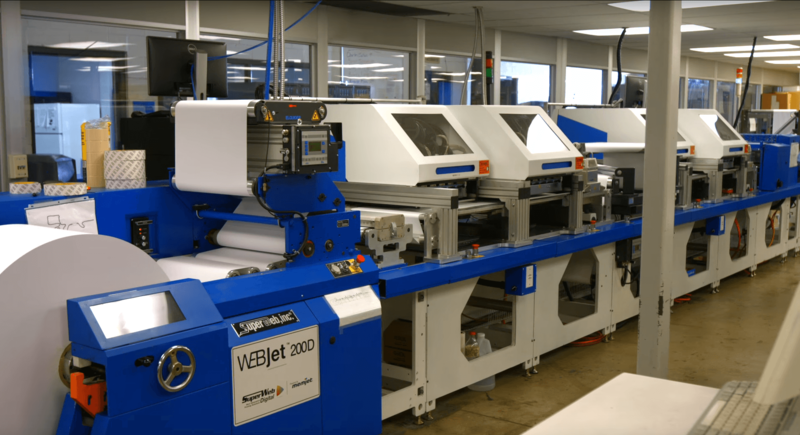 The WEBJet 200D press, incorporating two Memjet 17.5” inkjet heads, is capable of printing two full-color pages, side by side, on white paper, in both simplex and duplex modes and at speeds exceeding 330 fpm. A slit and merge finishing device is used to create a 1-up document path. This allows the web to be cut into discrete sheets that are perfectly sequenced for processing on a Pitney Bowes FPS inserter. In such a dynamic document production environment, every page can be different to the next and page counts can vary for each mail-piece. Any software glitches during the document composition, PDF RIP or when configuring the Memjet inkjet heads at the printer, can result in alignment issues causing page sequencing errors and the printing of the front and back pages to go out of sync. 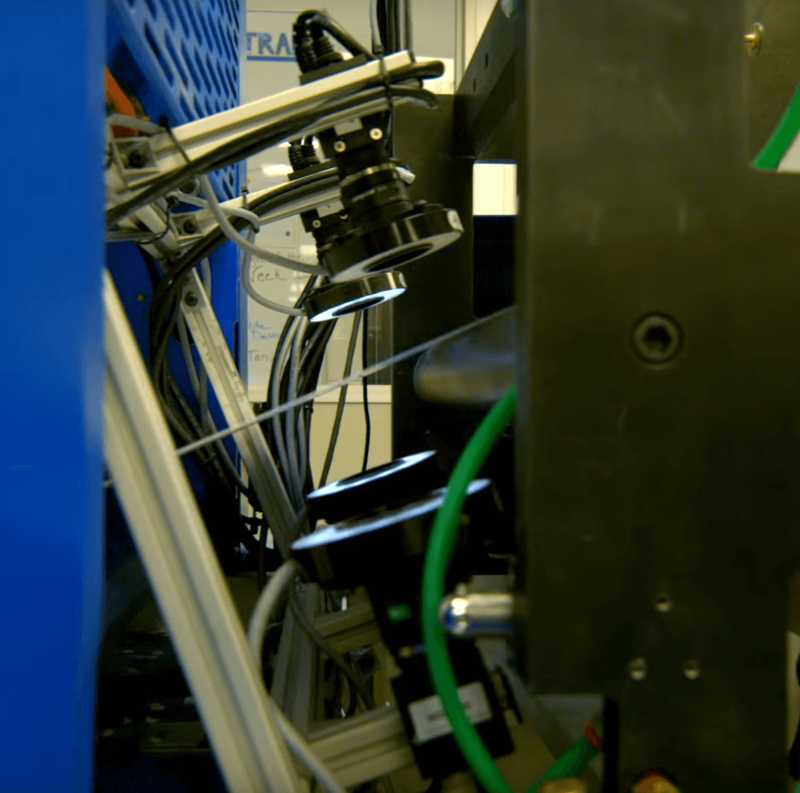 Under these conditions, operators stood little chance of detecting print defects which can quickly produce large amounts of waste. Moreover, if the defective print goes out undetected and uncorrected, it could result in expensive reprints, job reruns or worse, degrade client confidence and the potential future loss of business. Being obsessive about getting all the details right, High Cotton had to mitigate the risk by ensuring that every document, leaving their print factory was 100% correct. High Cotton had already implemented numerous camera based integrity management systems from Lake Image on their existing Pitney Bowes FPS and Bell & Howell Inserters. We were very impressed with the reliability, speed and accuracy of the cameras currently on our Inserter lines, so Lake Image Systems were an obvious choice for us when looking for a solution,” said Cowley. Lake Image Systems implemented their DISCOVERY 4 camera integrity management system on the color press, to inspect and verify the output according to High Cotton’s requirements. The four GigE area scan cameras, two on each side of the web, were used to read the “Top of Form” marker and an 8 character document sequence number, simultaneously from all 4 pages. A DISCOVERY Multiscan system then performed a front and back page positioning check and verified that the page sequences were correct. 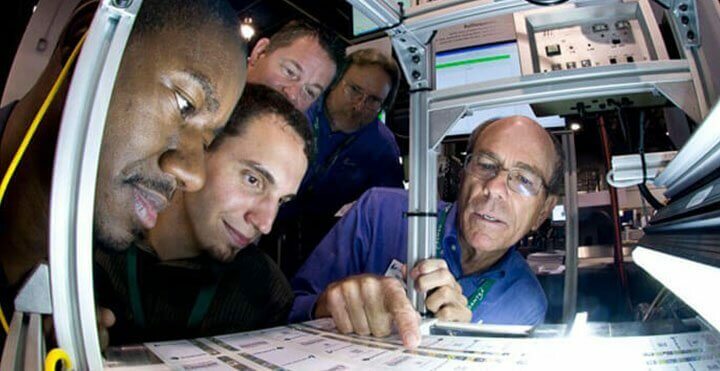 At the end of every job, a printed marker instructed DISCOVERY Multiscan to reset, enabling High Cotton to print multiple jobs, back to back without stopping the press or manually resetting the inspection system – greatly improving the productivity, throughput and their adherence to SLAs. If a front and back mismatch or out of sequence page is detected, DISCOVERY Multiscan immediately issues an audible alarm to alert the operator of a possible error. 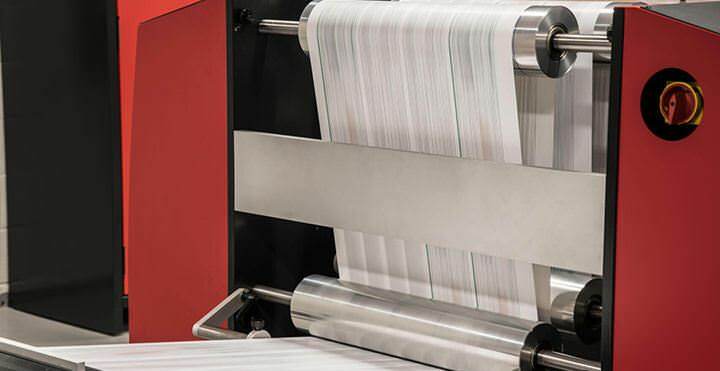 If multiple errors are detected or if they reach a specified threshold, then the press can be stopped for further investigation, preventing further loss of production and waste. A full audit log is kept throughout the process and is integrated with the DISCOVERY Multiscan system on the Inserters. This allows the mail-pieces in error to be out-sorted and flagged for a reprint – ensuring that document integrity is always being maintained. 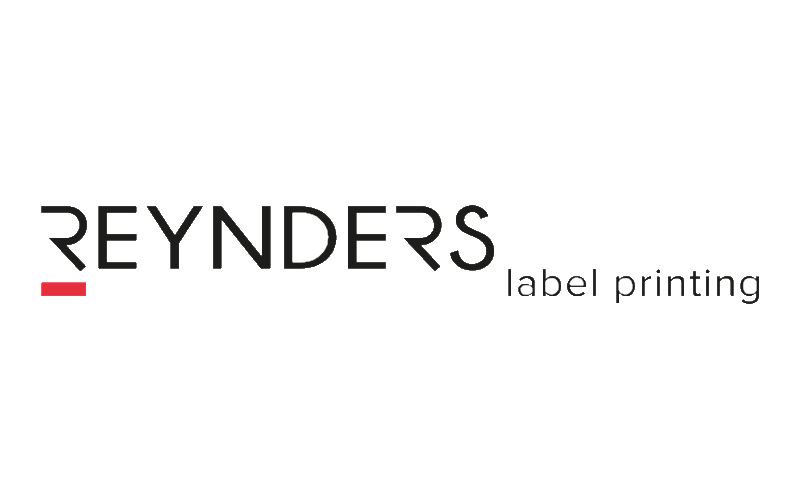 Today, this investment has allowed High Cotton to mitigate the risks associated with producing regulated, highly sensitive documents with total confidence, and has given them the assurance to develop and expand their full-color statement printing business, in a highly competitive services sector. 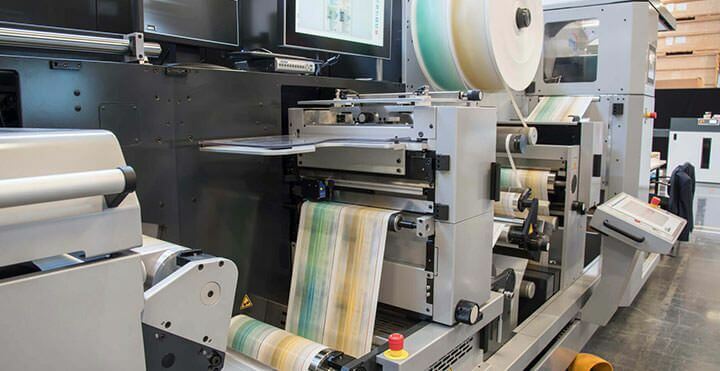 Furthermore, by linking the Lake Image systems on both the WEBJet press and on the Pitney Bowes FPS inserters, has enabled High Cotton to integrate their Print and Mail processes with obvious benefits. Following the success of this project, High Cotton is considering this solution for their second WEBJet 200D press, situated at their Texas print facility. When it comes to document integrity, this solution has helped to strengthen High Cotton’s reputation as a company that can “Get The Details Right” where it really matters.